If you have been following the collector or classic automobile market for the last few years you will have noticed there is no end in sight in terms of auction prices on many of the more desirable collectibles. Obviously this has excited the overall market to the degree that just about all collectible automobiles (and I mean that loosely) have skyrocketed in price in the last few years. I personally have been in the automobile collection markets since I was a kid in the 1960's. I have always had a personal sense of what and why certain cars can make good long term investments, and which cars no matter what people have thought about them in their present state seeming do poorly in the long term investment analysis. Generally speaking collecting classic automobiles was never considered much of a true investment as compared to things such a California real-estate or high quality stocks. So if you don't have the required love of automobiles to start with collecting classic cars may not be a good investment for you. On the other hand if you simply love everything about really cool cars you can at least break-even and even profit with the right knowledge and experience and willingness to learn from the market. That is exactly what this site is all about. 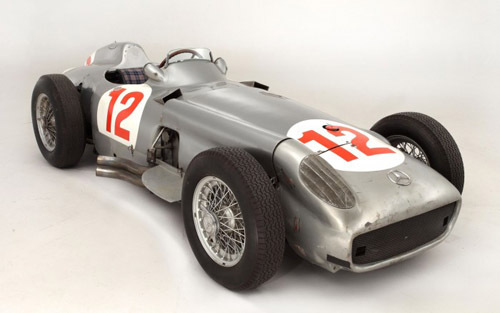 Juan Manuel Fangio's 1954 Mercedes Benz W196 is one of my favorite cars of all time. 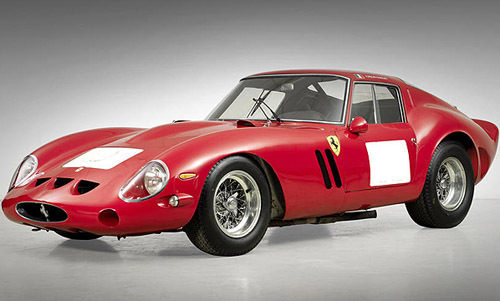 It was sold by Bohnams at Goodwood last year for $31,629,000 (includes buyers fee) making it the second most expensive car to sell at auction. I have collected scale models of this racing car since the early 1960's. 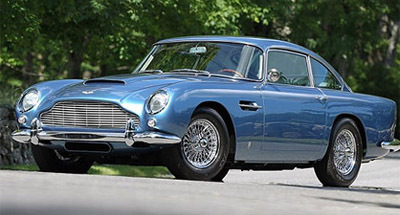 To the right you will notice the blue 1964 Aston Martin DB5 which was just sold at auction in Pebble Beach, California, on August 17, 2014 at the Goodings & Company event for $1,485,000. This is of interest to me especially since when I lived in Sausalito, California in 1981 a British racing green version of this same car came to my attention because a friend of mine was offered to buy this car from a famous artist for less than $10,000 because of his frustration with the car. I personally checked the car out and at the time I figured the low ball wholesale on this vehicle was around $20,000. She of course bought and resold it right away for a small profit. Even though one could buy a small 2 bedroom condominium in Sausalito for just over $100 thousand back in 1981 which might sell today for at least six times that. This was quite an investment for all involved because this car has appreciated by nearly 75 times of the then low wholesale value of $20,000. Even with storage, maintenance fees, insurance costs this type of investment would be better than buying Apple stock during that same time period. In summary that is what this web site is about. It is designed to educate the serious or not so serious collector or vintage car investor about these most interesting markets and latest trends. We will stay focused from month or sooner if necessary of what is happening in this very exciting market.